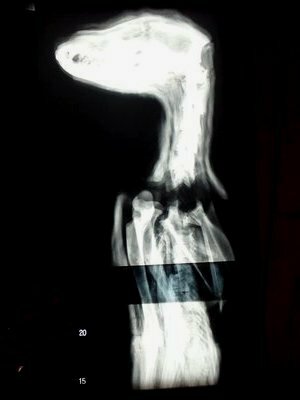 NPR, July 4, 2015 -- In catacombs south of Cairo, researchers have discovered burial sites filled with huge numbers of mummified animals — nearly 8 million of them, mostly dogs. 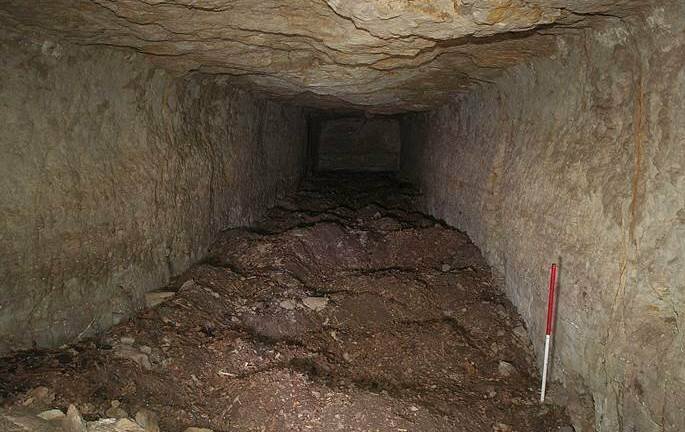 The catacombs, at a site called Saqqara, are dedicated to Anubis, the jackal-headed god of the afterlife. 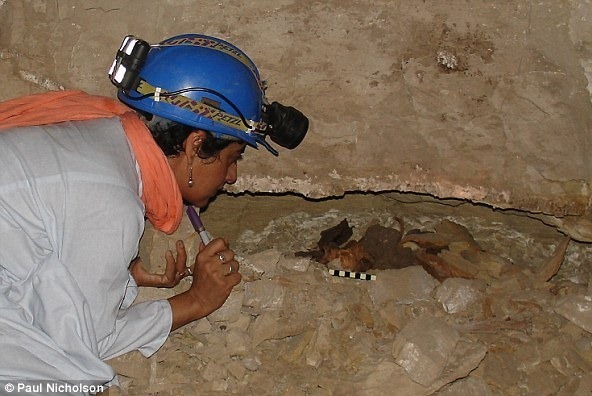 Archaeologist and Egyptologist Salima Ikram, a professor at the American University in Cairo who has worked extensively at the site, writes that animal mummification began in ancient Egypt "to allow beloved pets to go on to the afterlife, to provide food in the afterlife, to act as offerings to a particular god and because some were seen as physical manifestations of specific gods that the Egyptians worshipped." 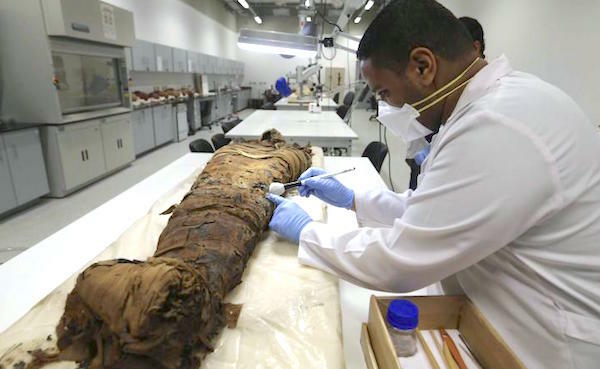 Speaking with NPR's Arun Rath, Ikram explains that "each [animal] mummy would be a symbol of something a pilgrim had given as a gift to the god. So nowadays, people go to a church and light a candle. 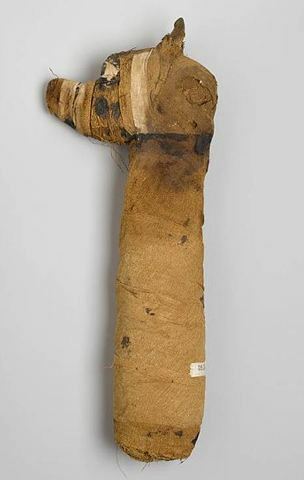 "But the Egyptians were in for the long haul, so instead of a candle, they would offer a mummy. So clearly, this means that there were a lot of very religious people out there who were asking Anubis for intercession and for help for a variety of things." Since ancient Egyptian gods and divinities are associated with nature, Ikram says, "The faces of the gods are also associated with different animals that have the same attributes as the gods do. So, for example, Anubis, god of embalming and travel, is associated with canines because they run through the deserts, they don't lose their way and you find them around graveyards." 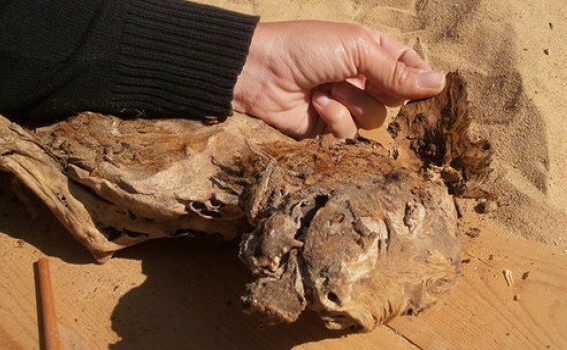 Ikram says the huge number of dog mummies suggests the existence of ancient Egyptian puppy mills. "You don't get 8 million mummies without having puppy farms," she says. "And some of these dogs were killed deliberately so that they could be offered. So for us, that seems really heartless. 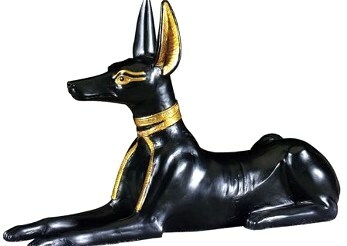 But for the Egyptians, they felt that the dogs were going straight up to join the eternal pack with Anubis. And so they were going off to a better thing." 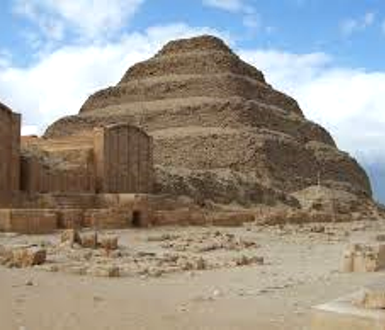 There is much more left to explore at Saqqara, Ikram says. For now, she says, "We have been into as many of the tunnels as we could, because some of them are very dangerous. But this does mean that for future generations, there will be things to explore and discoveries to be made." Saqqara is a vast, ancient burial ground in Egypt, serving as the ancient capital, Memphis. Saqqara features numerous pyramids, including the world famous Step pyramid of Djoser, sometimes referred to as the Step Tomb due to its rectangular base, as well as a number of mastabas (Arabic word meaning 'bench'). 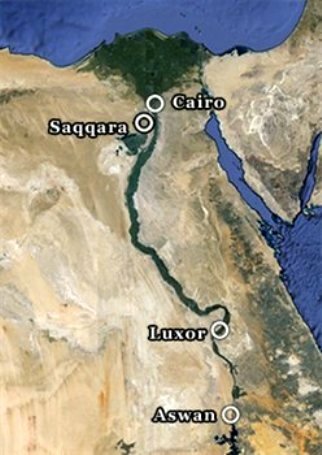 Located some 30 km (19 mi) south of modern-day Cairo, Saqqara covers an area of around 7 by 1.5 km (4.35 by 0.93 mi).